Mercer is a global consulting leader in talent, health, retirement, and investments. In Australia and New Zealand – and around the world – Mercer helps clients advance the health, wealth and performance of their most vital asset; their people. 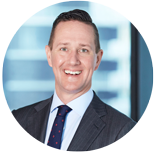 Ben is the Managing Director & Chief Executive Officer for Mercer in Australia and also heads the business across Australia and New Zealand. With a passion for culture, meaning and purpose, Ben has responsibility for delivering the firm’s business segments of Health, Wealth and Career to clients. 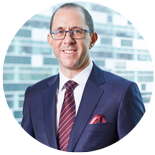 He is also Chairman of Marsh & McLennan Companies (MMC) incorporating Marsh, Guy Carpenter, Mercer, Oliver Wyman and NERA in Australia. Ben has worked for the Group for more than 20 years in a variety of local and regional roles, and has worked internationally in UK, USA and India. Ben is a Director of five Mercer Boards including the Trustee of the AU$21 billion in funds under management Mercer Master Trust. 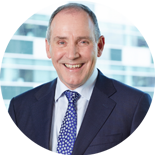 He is also Chair of Pillar Australia effective December 2016. 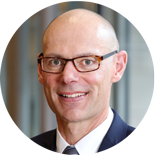 Ben was appointed to the Faculty of Business & Economics Advisory Board with The University of Melbourne in October 2015. In his spare time he Ubers for his two daughters and is an avid cyclist, participating in an annual 1,000km charity ride for Mercer SuperCycle. In 2016 Mercer SuperCycle raised over $450,000 to build homes for regional cancer patients. David is a Principal, currently acting as the Finance Director for Mercer in the Pacific Zone. He is a member of the Pacific Leadership Team and in that role is responsible for the overall Finance function for Mercer in the Pacific. Monash University, 2001 Bachelor of Business (B.Bus). Major in Accounting, sub-majors in Economics and Law. Chartered Accountants Australia & NZ 2008. CA Program – Graduate Diploma in Chartered Accounting. Insead - Fontainebleu, France 2006. Aviva Global Future Leaders Development Program. 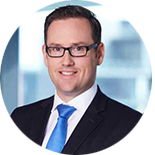 Simon holds a Bachelor of Economics from the Australian National University and is a Fellow of the Institute of Actuaries of Australia. 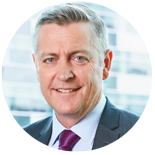 In December 2016, Martin was appointed Country Corporate Officer of Marsh & McLennan Companies, New Zealand and he has been CEO of Mercer NZ since 2009. 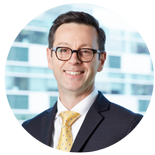 Martin holds a Master of Science from the London School of Economics, a Bachelor of Business Studies from Massey University, is a CA member of the New Zealand of Institute of Chartered Accountants and a Chartered Member of the New Zealand Institute of Directors. 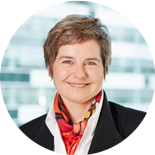 Mette is a Partner and joined Mercer in 2015 as Client Growth Leader for the Pacific Market. She is responsible for enterprise-wide client management, development and experience, sales and sales enablement, and the management of major bids. 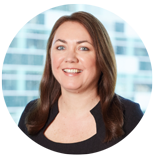 Prior to joining Mercer, Mette held executive roles at FleetPartners, The Nous Group and ANZ, with a career spanning Australia, Europe and the US. She has led large teams in Financial Services with profit and loss (P&L) responsibility, and enjoys helping businesses deliver sustainable profit growth and transformation through creating top line momentum. Mette has valuable Board and Board Committee experience, is a Chartered Accountant (with her career commencing at PW in audit and Corporate Finance and subsequently with PwC in the Financial Services Strategy and Execution team in Europe where she was on the global PwC team for strategic retail distribution for financial services companies), Graduate Member of the Australian Institute of Company Directors. She holds a B.Comm from Melbourne and Grad Dip in Applied Finance & Investments from the Securities Institute of Australia. In her ‘spare time’ Mette enjoys working on furniture as designer – maker. Brian is a Partner at Mercer and Sales Leader for Investments and Financial Services in the Pacific Market. He is responsible for business development activities and continued growth across these important businesses. He is based in Sydney. Natalie leads the B2B Marketing team for Australia & New Zealand. In her role, she is responsible for the strategic delivery of Marketing capabilities that drive demand generation, revenue growth and truly client centric partnerships, as well as positioning the Mercer brand prominently across the region. 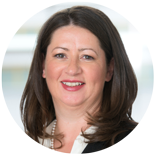 Prior to joining Mercer, Natalie’s career has spanned 15 years across a wide range of professional, financial services and banking in Australia, New Zealand and Asia. 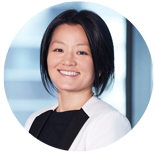 She has held senior marketing and commercial roles in leading organisations such as ANZ Banking Group, Bank of Melbourne, IOOF and CPA Australia. Natalie holds an MBA and a Bachelor of Commerce.